Today the Minister of Health and Population, Hon. Atupele Muluzi MP spoke along with Chief of Health Services Dr. Charles Mwansambo; U.S. Ambassador to Malawi, Virginia Palmer; German Ambassador to Malawi, Jürgen T. Borsch; Airtel Customer Experience Director, Sibusiso Nyasulu; and VillageReach Country Director Carla Blauvelt to announce plans to nationally expand the toll-free health and nutrition hotline, Chipatala Cha Pa Foni (CCPF) or “Health Center by Phone”. 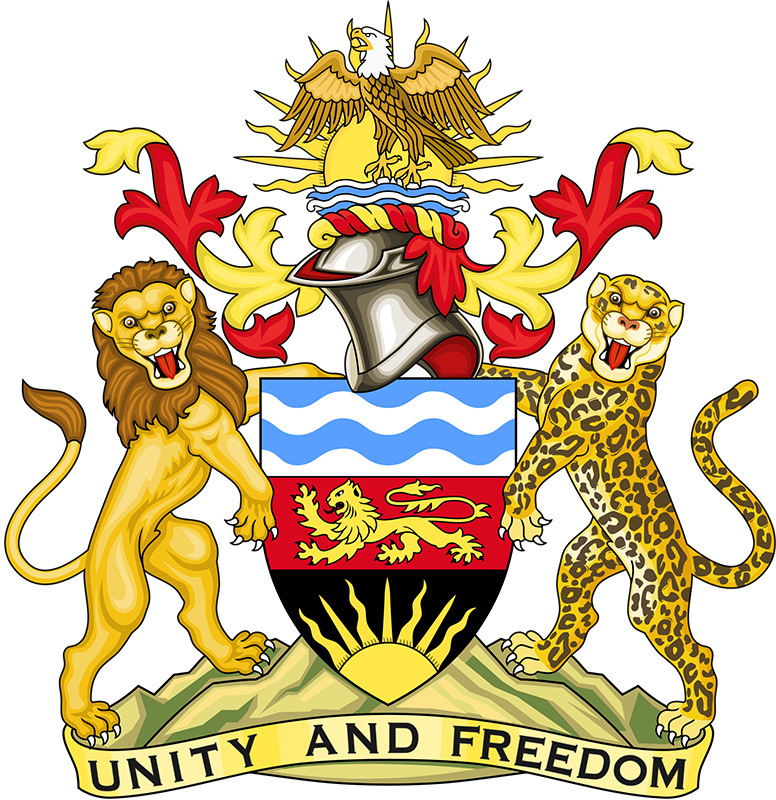 CCPF, currently operating in nine districts, will increase services to the rest of the districts in Malawi by the end of 2018. The expansion is part of the Ministry’s plan to transition management of the service from partners to full government ownership. When transition is complete in 2019, the hotline will be the first government run national health and nutrition hotline in Africa. 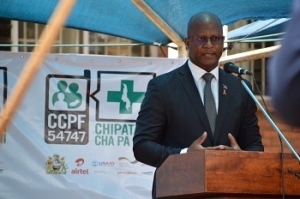 The announcement was made at a celebration event held at Malawi’s Health Education Unit, which houses the newly relocated and refurbished CCPF call center. CCPF creates a critical link between the health center and communities, extending the reach of the health system where access is most limited. 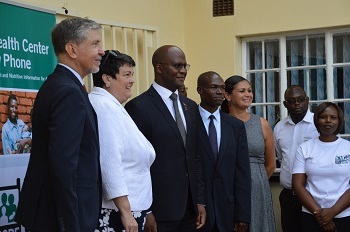 The expansion of this service reflects a deep commitment to using innovative approaches to reduce maternal and under-5 deaths and increase access to health care for all Malawian men and women. CCPF provides individualized health information through a toll-free health hotline staffed by trained health workers. It also provides a mobile message service for personal text or voice messages on maternal and child health topics, customized to a woman’s month of pregnancy or a child’s age. The Malawi Ministry of Health and Population has been closely involved in the development of CCPF from the onset. Airtel, Malawi’s leading mobile telecommunications provider, is an essential partner of the service. Since 2015, Airtel has zero rated CCPF airtime and plans to continue to zero rate calls and promote adoption of the service through its nationwide network when the service is transitioned to the Ministry of Health and Population. Other donors and partners including United States Agency for International Development, the United States President’s Emergency Plan for AIDS Relief (PEPFAR) through the DREAMS Innovation Challenge, GIZ, Johnson & Johnson, and Vitol Foundation have provided critical funding to expand the service in scope and scale, through content development, staff training and infrastructure improvements, most recently moving the hotline call center from Balaka to a much larger and more technically-advanced facility in Lilongwe. As the leading implementing partner, VillageReach has been central to developing the CCPF platform and cultivating the partnerships required for scale. CCPF demonstrates how a committed group of partners can collaborate across sectors to achieve lasting change. 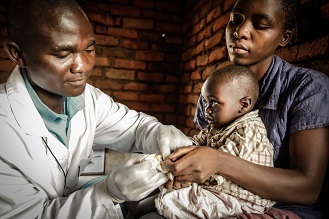 The original concept for CCPF came from Malawi, through a community-based campaign for maternal and child health innovation, led by the Malawi Ministry of Health and Population. CCPF launched in 2011 in Balaka district, led by NGOs VillageReach and Concern Worldwide. Simply by calling the short code 54747 from any Airtel phone, CCPF callers connect directly with qualified health professionals at a call center who are specially trained to answer questions on all general health topics including nutrition, in accordance with Ministry of Health and Population guidelines. Youth-friendly service and content are also part of CCPF offerings, designed to increase access to age-appropriate information on sexual and reproductive health information. Hotline nurses triage calls to doctors and refer callers for further care at a health center or hospital when needed. The CCPF hotline and message service are free to all callers, who can access the service from 7am to 7pm seven days a week, including holidays. This will expand to 24 hours by the end of 2018. 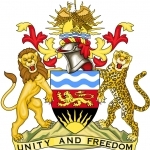 The service is currently advertised in the following districts: Balaka, Nkhotakota, Mulanje, Ntcheu, Mchinji, Dedza, Salima, Machinga and Zomba. In July of 2017, the Ministry signed a Memorandum of Understanding stating its commitment to scale and sustain the service within the Ministry, transitioning full ownership and management from NGO VillageReach. This transition will be finalized in July 2019 after national scale up to all 28 districts is completed at the end of 2018. For more information regarding this service, please contact the head of communication in the Ministry on 0999 210 464, email hkamkwamba@yahoo.com or the Media and Public Relations Officer on 0999 952 251, email chikumbeac@gmail.com.